Each of the home inspections I conduct includes a thorough visual examination of the home's readily accessible systems and components. Radon testing with 48-hour monitoring, Pest inspection and Termite inspection is available at additional cost. 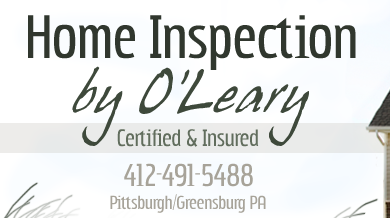 Follow this link for a detailed list of my home inspection fees. I would like to thank you so much for your services. I thought you were extremely knowledgeable and very educational. Your tips will definately be helpful. I was EXTREMELY happy with your services overall. I thought you covered all areas and took the time to especially highlight areas of concern. Your report was easy to understand and simple... yet very informative and to the point. I thought you provided just enough information and you covered in your report everything we spoke about during the inspection. I would - and have already - recommend your services. My family and I were thankful that we chose you for my home inspection.